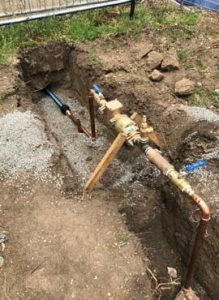 Lateral Plumbing Solutions can provide expert assistance with sewer line repair, sewer line replacement and sewer line installation services. Our experienced team can attend to all sewer lines and pipes in Melbourne, including new construction, pipe replacement and maintenance. 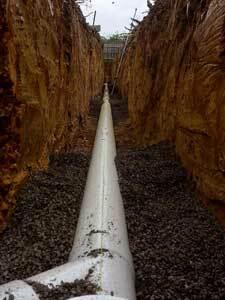 Specialising in sewer line installation, we have years of experience constructing new sewer lines. We can also assess existing sewer drains and correctly diagnose any problems before performing repair or replacement to renew and restore the functioning of a sewer line. Discuss your requirements with us today to request a sewer line replacement cost estimate. A sewer line blockage can represent a plumbing emergency, stopping toilets and sinks from working properly. It can also create a serious health concern, as the sewage material can attempt to work its way out of the clogged pipe. Our specialists are fully equipped to deal with sewer drain blockages and can also conduct effective sewer drain cleaning to reduce the chances of blockages occurring. If you need sewer line repair, installation or replacement, cctv inspections, Lateral Plumbing Solutions can meet your needs. Contact us today to learn more and discuss your requirements.